Vote forBedarra Island, QLDTop Island Destinations Which are Australia's must-visit destinations? You help us decide. 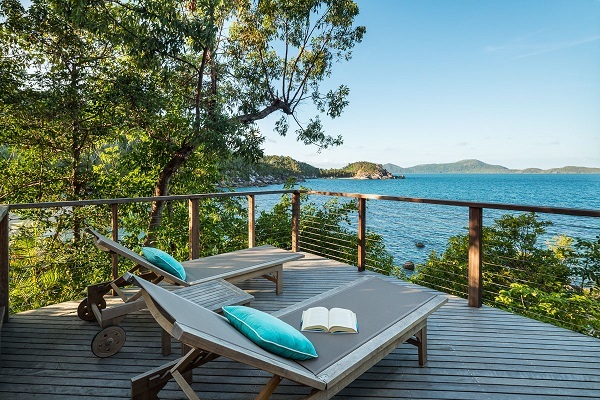 An idyllic choice for honeymooners and those looking to truly indulge, if you're after pure isolation and exclusivity during your time on the Great Barrier Reef, then a visit to privately-owned Bedarra Island is for you. 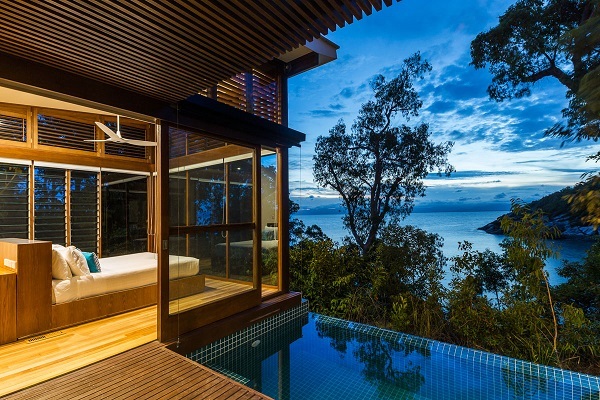 Blanketed in tropical rainforest, Bedarra Island is currently owned by the Charlton Hotel group and has been repurposed into an elite-level resort and accommodation facility. Bedarra Island is just as one would imagine - an oasis where seclusion, luxury and relaxation are the prominent features. The island is exceedingly popular for visitors who want to get away from it all or celebrate their honeymoon without having to fly overseas. Despite its central location to the mainland you will feel as though you're a world away the moment you step on the island. Those looking to travel to Bedarra Island can reach its shores via boat or air, with semi-regular flights running from Cairns and Townsville airports available to book and private charter boats available to ferry resort customers. The island is surrounded by vibrant reef and as such offers ample amount of aquatic-based activities for visitors to enjoy. Famed for its snorkelling and scuba diving conditions, it is often considered one of the best destinations to do so as the waters are almost invariably warm and the surrounding Great Barrier Reef ocean is filled with a diverse ecology and huge number of different species of both marine and land flora and fauna. If diving and snorkelling aren't your ideals of fun during an island getaway, you'll still be well catered for on Bedarra Island. The resort is equipped with an on site restaurant, bar and lounge with a menu that changes daily to avoid monotony. 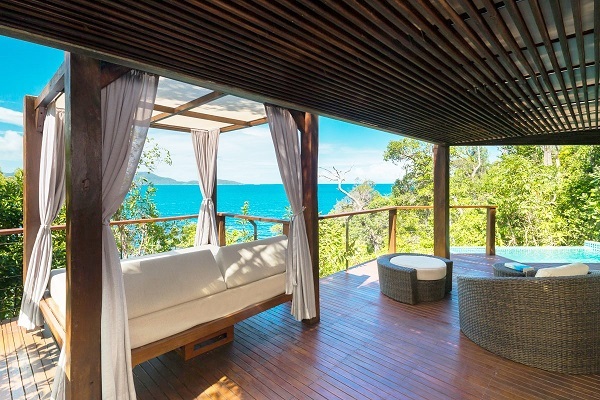 The resort's mantra is centred around relaxation so be it with a self-guided walk through the rainforest or simply relaxing on the beach, you'll feel calm and complete with a visit to Bedarra Island. People wanting to stay on the island are presented with a variety of accommodation choices including private cottages, beach houses, retreats, villas and more, most of which can accommodate from two to eight guests. 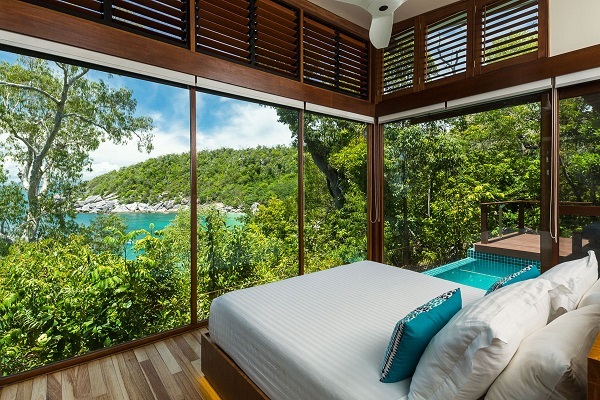 Most options provide peerless views of the beach and ocean as well as the surrounding islands in the distance. In terms of locals, you're sure to come across a number of Great Barrier Reef favourites including sea turtles, dugongs and even humpback whales during their migratory season, with plenty of birdlife calling the shores of the island their home. Be sure to bring your camera on this trip as you will make some incredible memories and see some amazing sights that are exclusively reserved for visitors to the Great Barrier Reef and more specifically, Bedarra Island. Looking to pay a visit to Bedarra Island but not sure what to do? Here are some of its most essential experiences. What's new on Bedarra Island? Resort is completely Eco-friendly, after a recent conversion to solar power, spring water, and biocycle waste treatment. Private rib boat offers the chance to explore secluded sandy spots and gorgeous reef snorkelling locations. 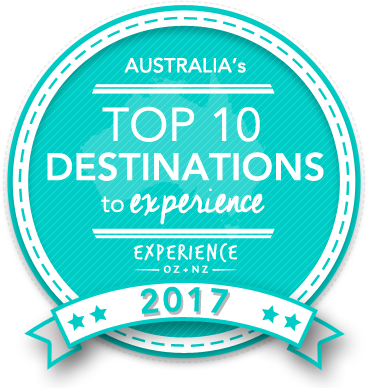 Is Bedarra Island Australia's Top Major Destination to Experience for 2017? Vote now for the chance to WIN an epic trip to one of Australia's top destinations!